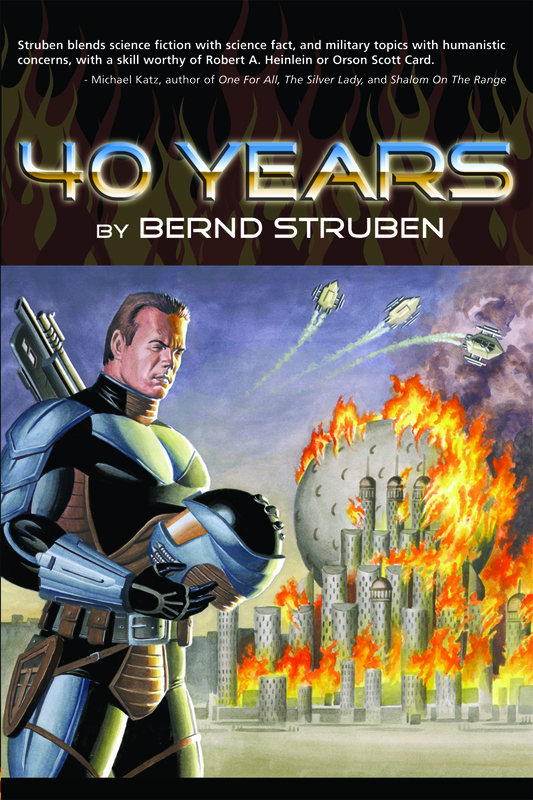 Struben, Bernd – 40 Years – Strider Nolan Media, Inc.
For twelve hundred years humanity has raced against the alien Pfrlanx to secure the galaxy’s last habitable planets at any cost. Humanity’s Soldiers – the Augmented Combat Personnel – are bioengineered to be the finest warriors Earth has ever known. They are kept in stasis for years on end, awakened only to fight for new ground. Using overwhelming military might, the ACP brutally subdue the inhabitants of each new planet prior to human settlement. The Pfrlanx alternative is far worse, as the alien conquerors methodically eradicate each world’s population before moving in. When the inhabitants of a remote planet 40 years from the nearest military Staging Area refuse to surrender despite staggering losses, the ACP Soldiers are forced to contemplate Pfrlanx-style genocide. With the fate of billions in his hands, veteran commander Brink D’Mar desperately searches for other options.